We head out in heavy traffic to the Military Hospital to check on yesterday’s small patients and also watch today’s allocated surgeries. 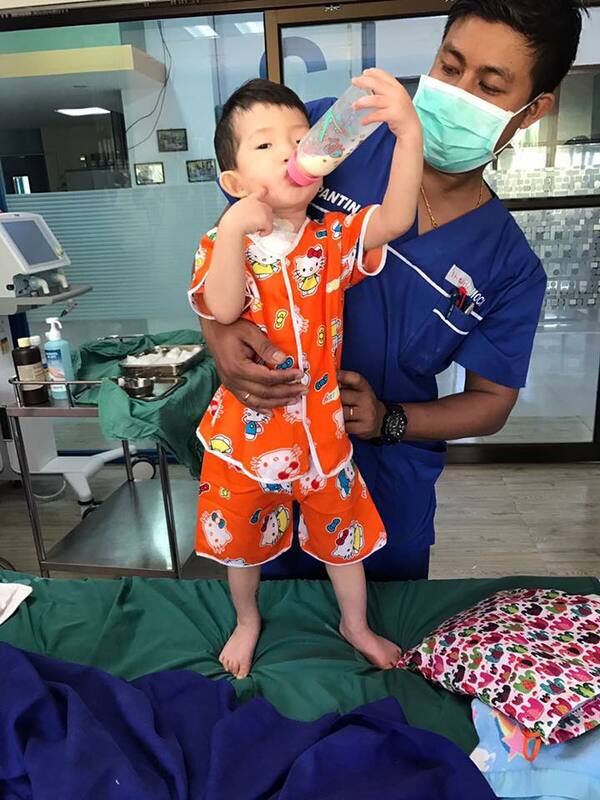 We met a family with a little boy (in which was a twin), who was waiting to have surgery and weighed in at 4kg at 3 months. The boys Mother melts into tears so I gave her a hug to let her know I understood. 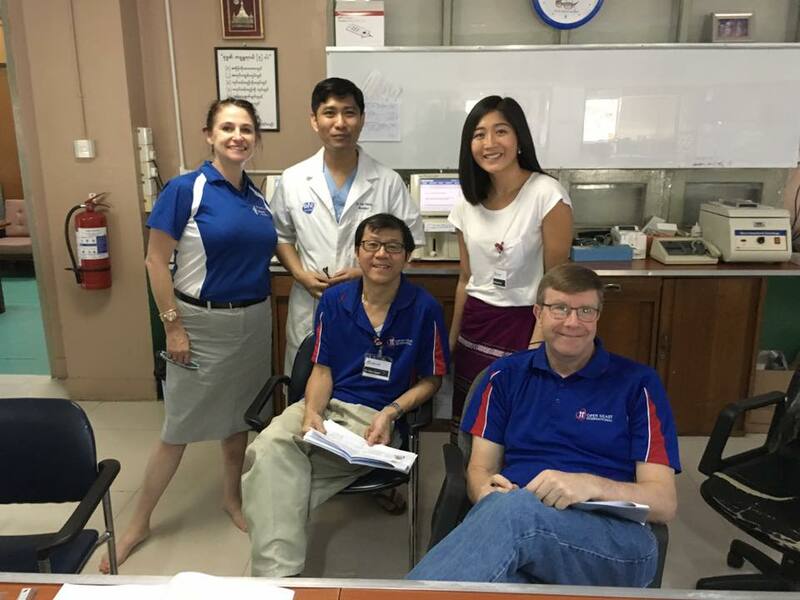 We then headed an hour up the road to Okkalapa Hospital where the Cath Lab and theatre was in full swing and operating on adult patients. We were able to see yesterday’s cases which were all doing well. Sharon performed an echo on quite a sick lady while the surgeon, Dr Bruce French and Cardiologist, Dr Chris Barnes watched on. 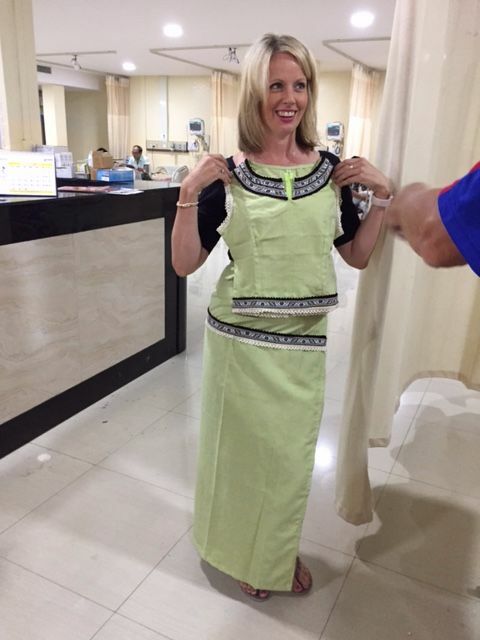 The Coronary Care nurses really appreciated the tender loving care given by Clair Lee and presented her with a beautiful national dress. 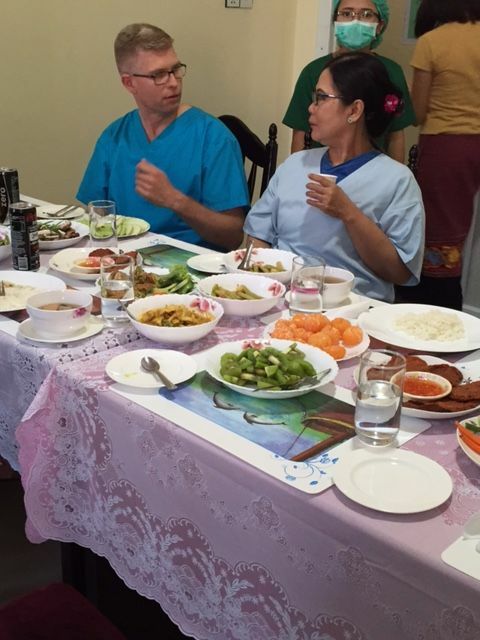 Dr Jason Sharp and team had been busy all morning and we caught up with them in the Cardiologists lunch room sharing stories with the local doctors. 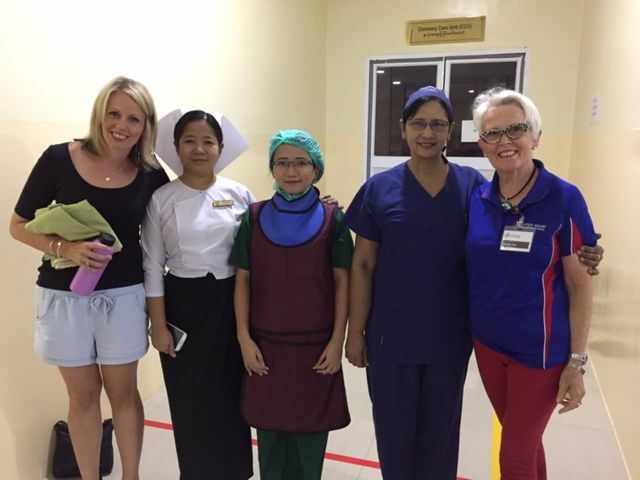 Before we left the nurses gathered around and wanted a photo taken with us. It was good to see the man everyone had been very concerned about on Sunday night now sitting up and doing well.